Helpful consideration of economic market structures. Not very detailed economically which I suppose is a pro and a con in equal measure! Also a strong American bias which is to be expected. I cannot say more or better than what David Kim says in the foreword -" Christians become excited about the gospel in a whole new way... They start to see how their work connects to the flourishing of the city and how the choices they make each day can have important economic implications. They start to realize that the gospel does indeed speak powerfully into the economics of our modern, complex, pluralistic, multi cultural world." Worth every page. A must read. This is a fantastic resource. It has opened many pathways for further exploration on the intersection of economics, vocation, and faith. 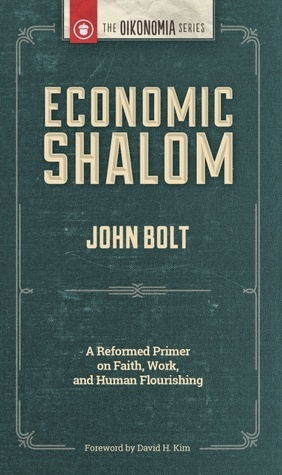 John Bolt David H. Kim - John Bolt (PhD, University of St. Michael's College) is professor of systematic theology at Calvin Theological Seminary in Grand Rapids, Michigan, where he has taught for more than twenty years.